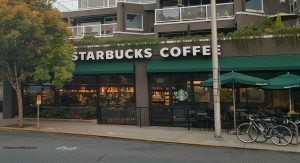 Does the Starbucks rewards program shortchange customers? I thought I could add a few thoughts and bring some clarity to that article. The Fortune Magazine news story presumes that get one star when buying a pound of coffee at Starbucks. This simply is not the case. All at-home coffee earns you a bonus star. It has been that way since the spring of 2014. 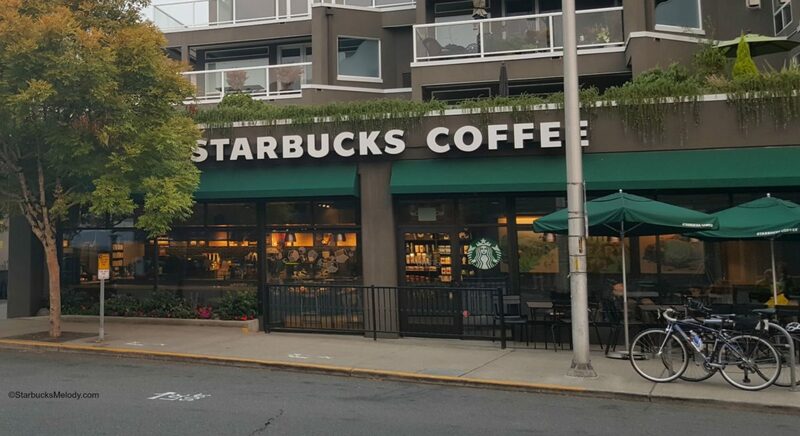 This includes Via Refreshers, Reserve Coffees, Core Coffees, Verismo pods, K-cup pods, and all other Via products, if purchased inside a company-operated Starbucks store. While I think the author of the Fortune Magazine article makes a lot of good points, I didn’t want this important point to be overlooked. The larger premise of the article is that you don’t earn an increasing number of stars for spending more. This is especially acute when you’re using your Starbucks card at Teavana where the average ticket may be much higher than Starbucks. I recently bought a Teavana Modern Iced Tea Maker for $79.99, paying with my Starbucks card at Teavana. That is still one star. This is counter intuitive. Very large businesses operating at the scale of Starbucks almost always give you increasing rewards back for spending more. Starbucks is not a mom and pop shop. It operates at the same scale as a small oil company, like BP Oil. If Starbucks were an oil company, only Exxon would be more profitable (Or maybe Chevron but that would be almost a tie). And consumers are used to rewards that offer you more for spending more. The ordinary consumer, perhaps subconsciously, is programmed to think, “If I spend more, I’ll get more back.” The Nordstrom Note rewards program offers you more Nordstrom Notes back for spending more. Most consumers expect that if they fly longer distances, they’ll earn more miles. Many consumers would think it odd if they received one star for a flight between Seattle and Portland, Oregon, and then again, just one star if flying between Seattle and Orlando, Florida. A few retailers – if they do not offer a variety of products – will offer rewards per one-time transaction. Hotels are like this. You might get a reward for staying overnight. There’s no variation: your purchase is always an overnight stay at a hotel. It’s not the same as getting a star whether purchasing one chocolate chip cookie or whether purchasing an $80 tea maker. So in some ways, the author of the store is right: The current version of My Starbucks Rewards is counter-intuitive in terms of how it gives you stars at the register. Will it change? I don’t know! I wish I knew. I know from readers that I’ve that Starbucks has sent out surveys about My Starbucks Rewards, asking about stars per certain dollar amounts. I can see how the current program would just feel ‘off’ to many consumers. I think it’s disingenuous to think many consumers won’t sense that something feels ‘off’ that you get a star whether you bought one cookie or an expensive French press or tumbler. Personally, I pretty much never get those deals. It sure seems like the more you spend, the worse your “special offers” from Starbucks. I think this is one area that could have been discussed by the Fortune Magazine author. This too will feel icky to some consumers who will think, ‘So wait. If I become a really great customer, this means I’ll get fewer good promo deals?‘ Sure seems this way. One thing the author of the article seemed to do was underestimate the value of a Lucky Dozen reward at Starbucks. That Lucky Dozen reward can be used on many, many things: salads, sandwiches, food items, an ounce of Teavana tea, Evolution Fresh juices and more. I attempted to demonstrate the value of a reward in this blog article here. I believe the author estimated that the higher priced items are around $5.65 but I think it’s totally possible to spend more than that on a reward. A customized Venti Frappuccino definitely can add up to more than $5.65 – and go ahead order what you want! You earned it. It’s not really totally free. I believe that the new BBQ beef brisket sandwich is just under $7.00. So I do think the author underestimated the power of a reward. There must be a few baristas reading this who could tell stories of people getting incredibly modified expensive Frappuccinos with their rewards. Keep in mind, beer and wine is excluded from My Starbucks Rewards. It’s a mixed bag. Some of the points made by the Fortune magazine are right on. Some are a little weak. I do not work for Starbucks. Register Your Starbucks Card: Your Free Birthday Drink. I would like if I got more stars for spending more money. Also, this would prevent partners from having to make multiple transactions for some people who want to get as many stars as possible. One of the video games I was once addicted to had the same thing. One point for donating something that cost basically nothing and one point for donating something that took an hour to make and a bunch of the games currency. Eventually they changed that so there would be more incentive to donate better things. (Silly analogy, I know, but same idea). I love the current program as is. It encourages me to go to Starbucks on a regular basis. If they started awarding stars based on how much is spent, I probably wouldn’t go very much. I can justify (to myself) buying a mix of $3 coffee and $4 tall espresso drinks, because I can look forward to a decadent “free” frappucino after 2 or 3 weeks of daily visits. If they changed their rewards program to be based on spending instead of visits, psychologically, I would not be able to keep justifying it, because my Starbucks habit is an expensive luxury. I would just switch to making my own coffee, and stop asking for Starbucks cards for my birthday. I guess it depends on whether Starbucks feels it’s more important to encourage people to make a habit of going to Starbucks, or to encourage people to spend more but maybe not go as much (I know which incentive works on me). I agree more with Susan …. I love the program as is. It does encourage me to visit a Starbucks more frequently. I would visit less if the program changed to “more money spent = more stars). I, too, would definitely visit less often. That said, there is no reason not to offer some special promotion for a large purchase such as a coffee machine. 2.) It is NOT true that Starbucks offers a bonus star on K-cup purchases if you bring it hone from the grocery store. There is no such “star code” anywhere on or within the box. Starbucks website states that K-cups purchased at grocery do earn a bonus star using the “star code” (entering on website). I purchased a Keurig machine several months ago and have looked all over for those star codes…. there are no ‘specially marked K-cup packages’ to be found anywhere! … and purchased many boxes. I called customer service and was told that they are to be found on the inside of the boxes (unlike the packaged whole bean or ground pkgs which contain a sticker on the outside of the pkg). Nothing .. no where inside any of the many various sized boxes of K-cups I’ve purchased. I called customer service and asked again and was told that Starbucks is working on it. I don’t think so. The final straw is due to a promotional email I received from Starbucks just a couple of weeks ago. I was offered a promotion stating that I would receive 3 bonus stars for ‘grocery store only’ purchase of specially marked packages of coffee. This INCUDED K-cups! So, although I agree more with Susan’s comments about leaving the program as is …. Starbuck’s could certainly improve it. …. put the star codes in/on K-cups (as your website states). I still make my visits to Starbucks, but for now I am going to stay away from their K-cups until either the price comes down or they offer the bonus star. Oh, and Melody’s comment about the ‘offers’ sent by email to customers is correct. I use (and therefore spend more money) my Starbucks card much more often than my husband uses his. His promotional offers are always better than mine. The offer I just mentioned above … me being offered 3 bonus stars for two grocery purchases….. my husband was offered the same promotion (same day), but he was offered 12 bonus stars for two grocery purchases. I like it the way it is currently. The best reward for 12 stars is a can of Frappuccino Straws at $9.95, though a Frappuccino with extras (soy, extra syrups, shots, etc) can easily reach $7+. Better email/message offers for less frequent customers is a marketing tool to increase overall sales. We regulars will keep buying what we buy at our normal rate regardless of any extra deal, the deals are designed to “hook” a new regular customer. It’s all marketing and I am sure Starbucks keeps close tabs on what increases sales and profits and modifies their promotions accordingly. I agree the program isn’t perfect and needs to update. I’m not sure what the update should be, but it needs a change. In the beginning of its program, the star per transaction made sense all the time, but as prices go up on beverages and things, it’s harder to enjoy the rewards. As a partner, I love that I still get my stars per transaction. If they change it to be based on amount of money spent, my discount becomes a hindrance. If they can find a happy medium between those, I would be happy. I also miss them giving rewards members the cost of special milks or regularsyrups for free. I know some people like the taste of the special milks, but others must use alternatives and it’s sad that they have to pay extra for their bodies unable to process cow milk. I want to know the location where one can get a Starbucks coffee or tea drink that’s $2.00. A tall anything at Southern California Starbucks locations are at minimum are in the $3.00 range. If you buy a “short” coffee/tea, it’s probably in the $2+ range and you can say that the Rewards program is a great deal, but do you think most Starbucks customers actually buy short coffees? I’m ambivalent about the rewards program as it stands. As Starbucks prices rise, I’m finding that I go in less and less and the Rewards program as incentive to visit stores matters less and less to me. I think it might be fairer for Starbucks to change to some sort of hybrid rewards program. Eg. Get a star for every purchase, then get an additional star for every $5 spent (or some other amount). Or no star just for the purchase and do $0.01-$5 = 1 star, $5.01-$10 = 2 stars, etc. Even if they put a maximum of 10 stars per purchase or something, that would still be a vast improvement. I know I rarely buy a baked item as I know I won’t get an additional star, unless there’s a bonus star deal going on. If I knew purchasing one would bump my total into a second star category, I would probably buy food items more frequently. The Starbucks direct marketing is definitely tailored, but it’s to what you don’t buy rather than to what you do. I’m not a big breakfast eater and have never bought a breakfast sandwich. What do I get a bonus star offer for several times a month? Breakfast sandwiches. I currently have an offer to receive 8 bonus stars if I buy an espresso beverage, breakfast sandwich and a shaken ice tea by tomorrow. I’m also not a big tea drinker and have only ever bought one shaken ice tea. It’s a nice offer, but there’s no way I’ll be taking advantage of it. Did anyone notovr a change today..? 24 stars to get a reward..? Strange. @SamChoi – I’m not aware of a change where it’s 24 stars to get a reward. Where are you getting that? Coincidentally, I got a Rewards email a couple hours ago that offers 3 bonus Stars for each transaction that is $10 or more. It’s good for the next three days. One to one marketing – Mine is spend $12 for the 3 stars. Some people get offers that said $7 for 3 stars. The less you spend, the lower your price point to get the 3 bonus stars. Some people didn’t get this offer at all. I kinda figured the spend level was variable. I just thought the timing was a little amusing, seeing it’s the day after the Forbes piece. My personal rule is that if the promotion doesn’t result in $2 or less per star, I’m not going to bother going out of my way to do it. It’s worked pretty well so far. Ms melody I got the same $12 deal as you. I guess we go to starbucks too much. I sent you an email of my screenshot. Thank you. @Hms – in my market in Canada, a tall coffee is exactly $2 (can we say “Hello masses and masses of toonies? ?”) and a single teabag tea is $2.05. I have a lot of regular customers, mostly seniors, who get them every day, and multiple times a day, and they help create that “everyone knows everyone”/Cheers type environment in the early mornings that is invaluable to a coffee shop. I’d hate to think that their loyalty is considered less valuable because they don’t care for the more complicated beverages.